Following the trend confirmed by VW Group for flat battery packs (re: Tesla) with the Porsche Mission-E, Audi e-tron SUV & Volkswagen EV Microbus announcements, Samsung SDI said Wednesday that it is seeking to gain new momentum in its battery business by promoting its Low Pack batteries at this year's auto show in the German city of Frankfurt. In a statement, SDI said the battery pack will have a huge influence on the surface design of electric vehicles (EVs) as global carmakers are looking at battery performance of the different battery suppliers. In addition to batteries, materials to be used in EVs were also exhibited during the major European auto fair. 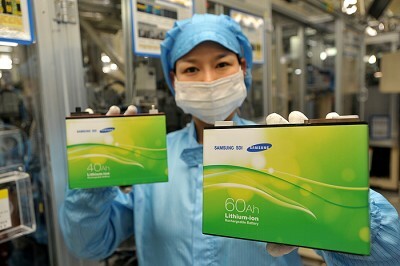 Samsung SDI Battery Systems (SDIBS), a new name after SDI's acquisition of Magna in May, also attended the annual event. "The Low Pack battery has drastically reduced the height of battery packs, helping carmakers get more flexibility when they design stylish EVs and want to change the structure of EVs," said its spokesman Seo Hae-su. Even small changes in battery pack design impact the optimum size of the motors, brakes and suspension. 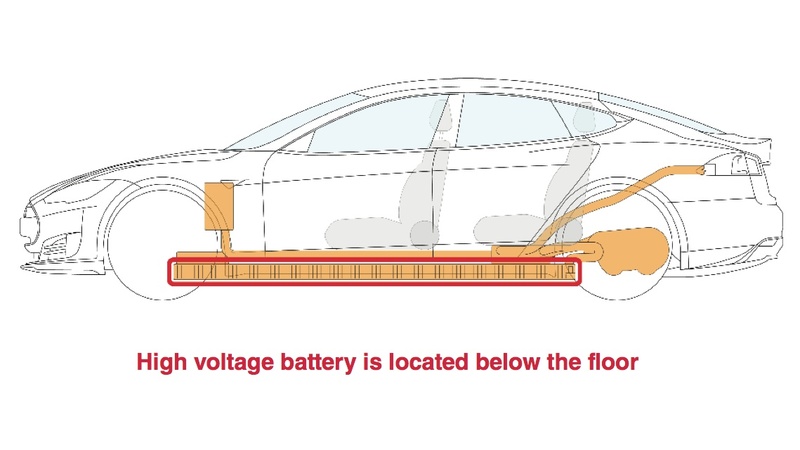 Until battery performance is locked down, any design the car makers come up with rests, in a sense, on quicksand. Seo declined to comment about which carmakers were talking with the Samsung Group's battery affiliate. The statement said SDI installed an independent booth for the show to promote the company's latest battery packs and materials. At the 66th show, top European carmakers including Audi are expected to steal the limelight with much-awaited electric sedans and electric SUV concept cars. "With SDI's full battery cell lineup, the company is exhibiting standardized modules to be used in plug-in hybrid electric vehicles. SDI is the only major battery maker worldwide that will be participating in the show," Seo said, adding that he will talk with existing and new car producers to win more orders. SDI has secured more than 30 orders to supply battery packs to global car makers since the Samsung affiliate jumped into the market in 2009. SDI said 50 percent of the orders came from the European market. In addition to batteries, SDI is displaying engineering plastic products for automobile exterior and interior design, and metallic materials to reduce the weight of cars. Seo said SDI is on track to improve its battery technology to better compete with its chief rivals LG Chem and Panasonic of Japan. Audi, a key customer for SDI, will show its Audi e-tron Quattro concept at the fair to provide a hint of the future of the brand's sporty electric SUVs. Along with the new lithium-ion batteries supplied by LG Chem and Samsung SDI, EVs should have a range of 500 kilometers on a single charge.